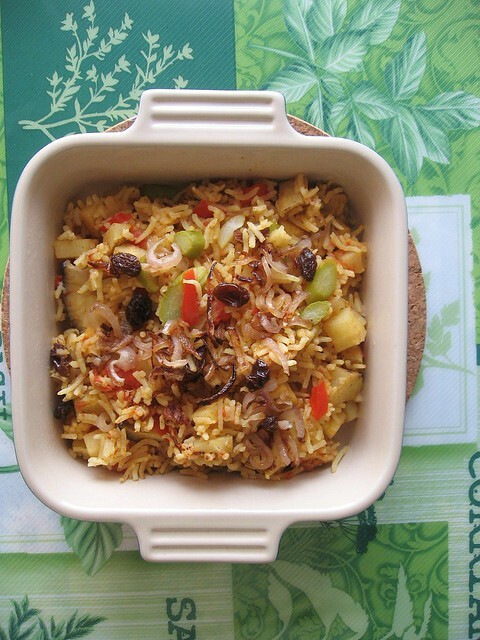 Remember this one-pot Cabbage Rice? The idea of fuss-free cooking where it is best to cook "everything" (carbs, vegetables, protein) in one-pot or one-pan, never fails to inspire me in creating new dishes. Chicken soup turns chicken soup noodles, stir-fry vegetables transforms to a vegetable stir-fry noodle. Less pots and pans means less cleaning up and in some way, makes cooking less of a hassle. I fell deeper in love with cooking a one-pan "everything" dish when I made two recent discoveries - using Indian Basmati Rice for a classic Chinese dish, and the HappyCall (ceramic-coated non-stick) Pan. It started with this Shanghai Vegetables Rice (I have used Indian basmati rice for a rather traditional Shanghai dish) - all cooked and done in the same pan/pot, with basmati rice - from start to finish. 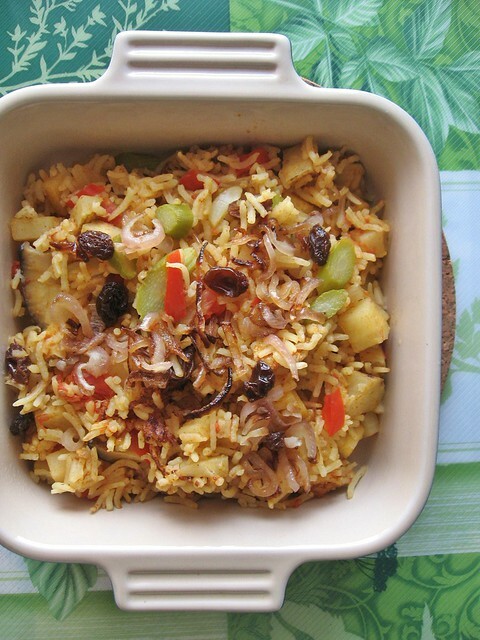 Using basmati rice, the final dish was less "sticky and wet" compared to using jasmine rice when cooked with moisture-rich vegetables. I don't often cook with white rice but recently, for the sake of Shanghai Vegetable Rice, I have. While chatting with my friend the other day, the topic of "rice" and our source of grains came up. Brown rice has higher traces of arsenic, white rice is considered processed - stripped of nutrition, quinoa sometimes leads to bloating and "gas" in some people - it is best to not just rely on ONE type of grain. Variety is good. Moderation is key. I have also recently switched from cooking Indian Biryani-Style Rice in the rice cooker to using the Happycall Pan . The HappyCall Pan cooks smaller portions relatively efficiently compared to the 6-cup rice cooker. 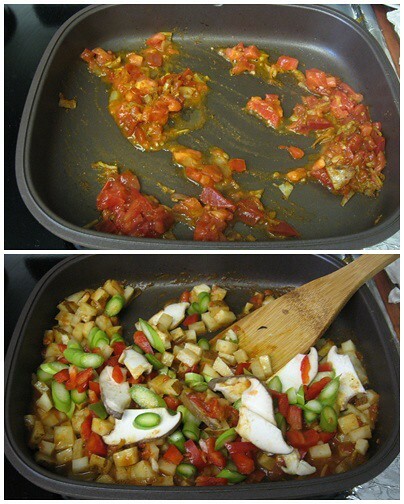 Directions: Saute shallots and spices, add tomatoes, potatoes, fry till tomatoes soften up. Add veggies and garlic, give it a good stir. Add rice, add water just enough to submerge the ingredients (and rice), cover the pan and cook the rice for about 10-15mins. Advantage of using potatoes (not much) to bulk up the carbs so that you use less rice and obtain different carb sources meaning different nutrients and minerals in one dish. 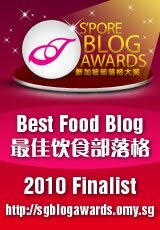 This post is linked to the event Little Thumbs Up (July 2014 Event: Potato) - organised by Zoe (Bake for Happy Kids) and Mui Mui (My Little Favourite DIY) and hosted by Jasline (Foodie Baker).